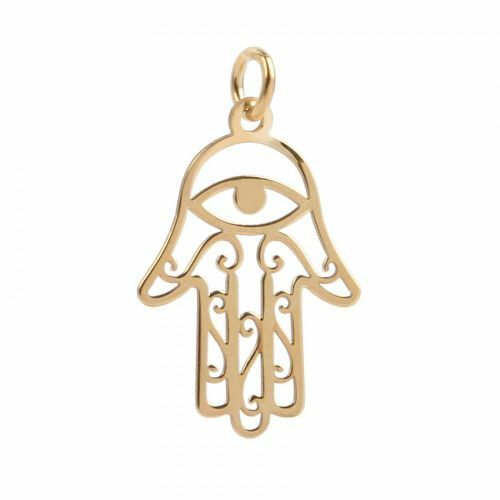 Make meaningful jewellery with this delicate Gold Plated Sterling Silver 925 All Seeing Eye Hand Charm. This charm is ideal for positioning at the centre of a delicate, matching gold plated necklace chain. The charm features a jumpring above the palm of the hand meaning it's ready to thread onto a cord or attach to a charm bracelet.